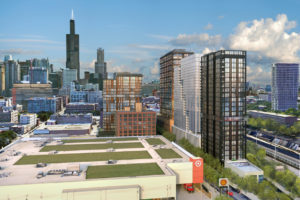 The past two years have been big for West Loop residential development and it shows no signs of slowing in 2019 either. 1125 and 1050 W Van Buren were first revealed in January 2018 by Chicago developer, Tandem Partners, and architecture firm, Antunovich Associates and were approved last week. Both building exteriors will be metal paneling but 1050 W Van Buren will have more of a rust-color finish and rise 24 stories, while 1125 W Van Buren will have a dark grey finishand rise 21 stories. 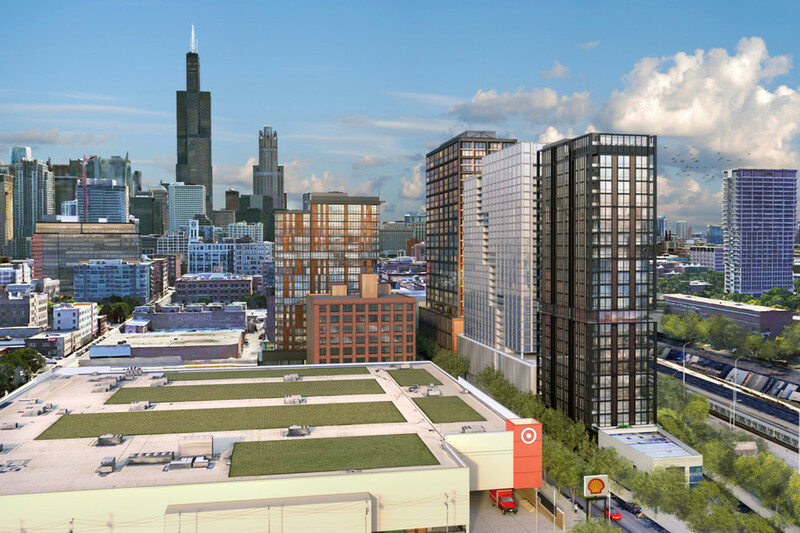 The two West Loop luxury apartment towers will replace Guy & Sons and Chicago Auto Centers. Although 1125 W Van Buren will be on a smaller lot than 1050 W Van Buren, both towers will have comparable capacities, at 200 and 201 units, respectively. The majority of units will be studios, 30 percent of rentals will be one bedroom apartments, and just 10 percent of rentals will be designated at two bedroom apartments. Both buildings will include storage for 100 bicycles as well as luxury amenities. Amenities are expected to include fitness centers, roof top pools, and other common areas and lounges which have yet to be described. There will be just 80 parking spots between the 401 rental apartments in the two transit-oriented buildings. Tandem plans to begin construction with 1125 W Van Buren in the third or fourth quarter of 2019, followed by the construction of 1050 W Van Buren. Tandem Partners have contributed over $2.5 million into the neighborhood opportunity fund, 10 percent of which will likely be used to improve parks, landscaping, infrastructure, or other communal amenities within one mile of the development. To alleviate concerns about increased traffic in the area, developers included a designated area in their plans where two or more cars could pull out of traffic onto Van Buren, which would limit double parking and absorb some traffic flow from ride share users. Looking for luxury apartments for rent near West Loop? Contact us today! We’d be happy to keep you in the Loop!